Off the shore of Ishikawa Prefecture the warm Tsushima current and the cold Liman current intersect, richly filling the depths with nutrients. 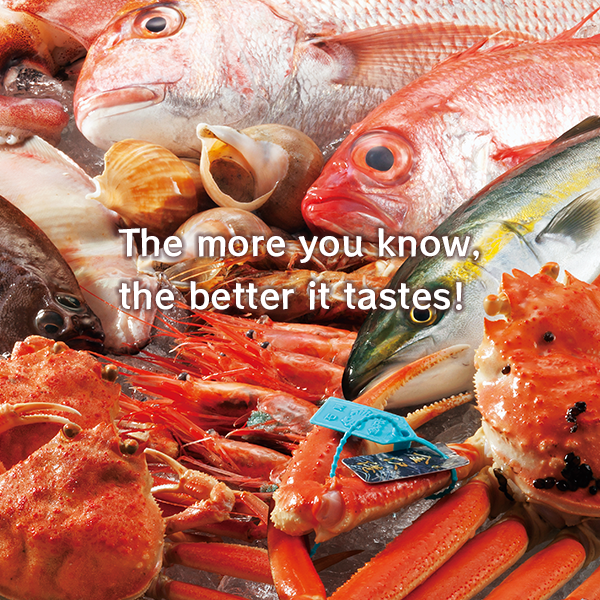 This “Proper Water in the Japan Sea” hosts great fishing grounds where both cold- and warm-water fish and shellfish varieties coexist. The abundant rainfall in Ishikawa Prefecture flows to the Sea of Japan from Mount Haku (“Hakusan” in Japanese), one of the three holy mountains in Japan. Rain and melting snow from the mountain range carry nutrients into the sea, nurturing a robust food chain among the sea life. 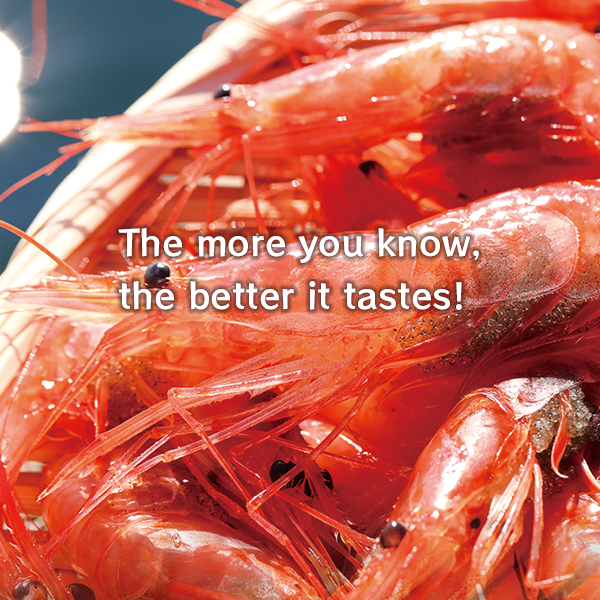 Kanazawa Port is one of the biggest for dragnet fishery in the prefecture. With seasonal purse seine vessels and squid fishing boats docking, it stays active all year round. In order to maintain the freshest catches of the day, the seafood is collected and dispatched in the morning, afternoon and evening at the adjoining Kanazawa General Market. 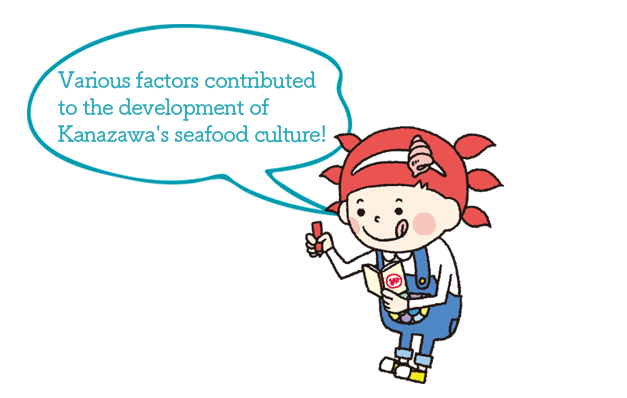 Kanazawa City is one of the nation’s top seafood sellers. People have a strong desire for locally produced food, called “Jiwamon.” In addition to the early morning auction, Kanazawa Central Wholesale Market has hosted a mid-morning auction since 2008 with the help of the Fisherman Association to distribute the abundant morning catch before noon. 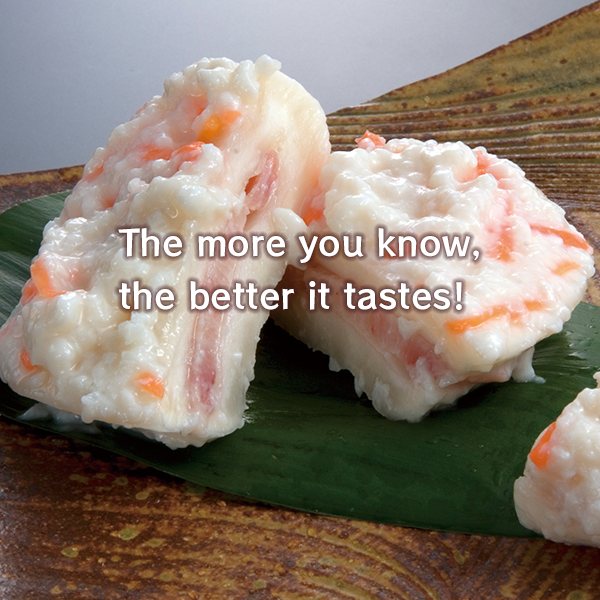 Kanazawa has a rich food culture passed down since the Edo era. 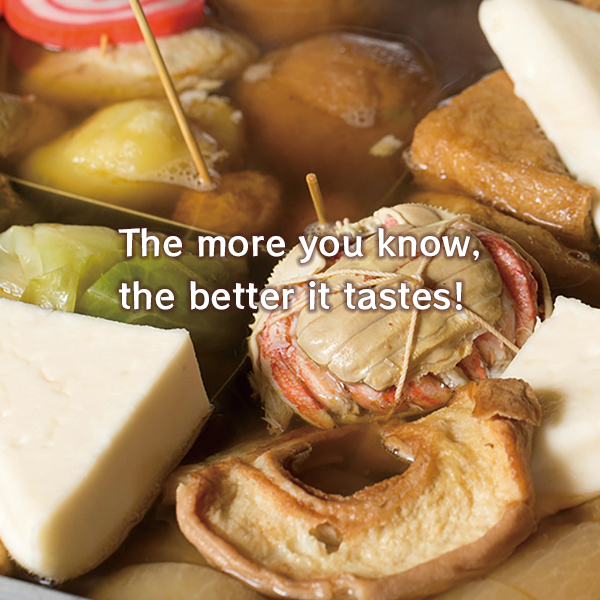 However, the high quality of local produce and the advanced cooking techniques are not the only aspects that make Kanazawa food culture special. 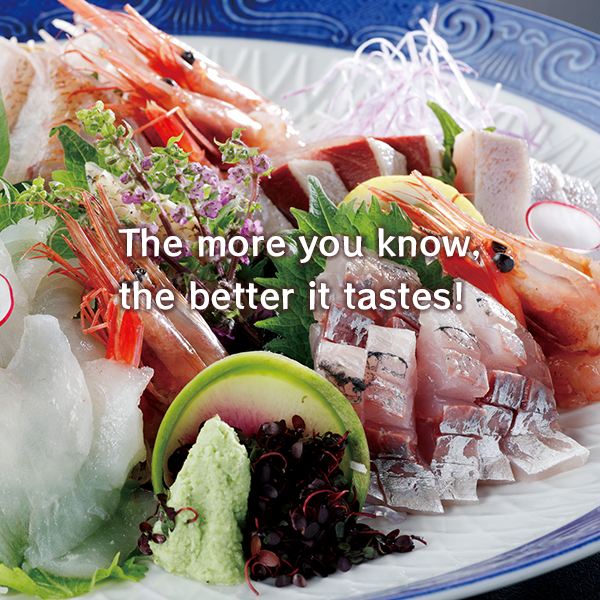 The ingenuity and beauty of the dishware, the dining space and the manners of host and guests all enhance the taste of Kanazawa cuisine.